Welcome to the Sand Dam Reservoir Association home page. 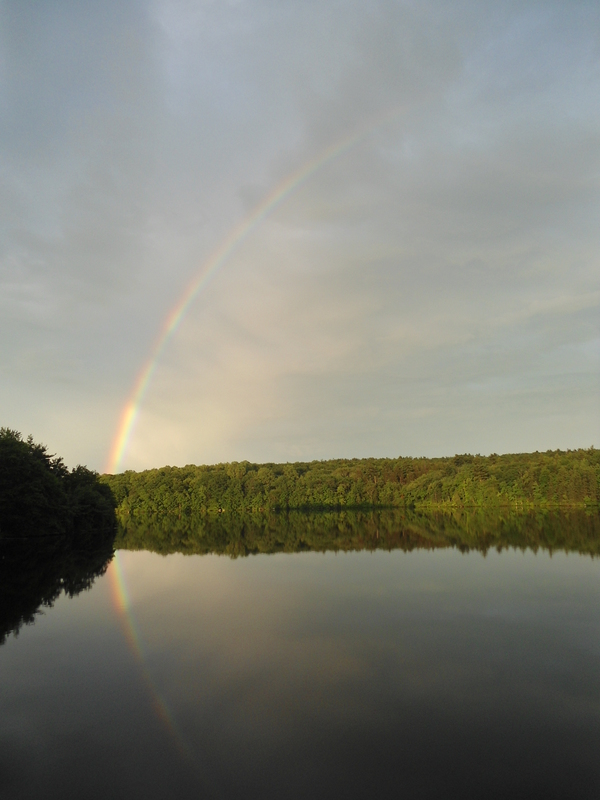 Our Chepachet, Rhode Island lake association is dedicated to maintaining and preserving one of the most pristine lakes in Rhode Island, Smith and Sayles Reservoir. Smith and Sayles Reservoir is located in the Chepachet River subbasin, which drains northeasterly into the Branch River. Relatively shallow, with a maximum depth of just over 10 feet, the Reservoir is approximately 185 acres in size. Its total shoreline perimeter is approximately 4.60 miles. Public access is provided by a state-maintained boat ramp near to the end of Sand Dam Road on the northwestern shore of the reservoir. Private waterfront residences occupy portions of the northwestern and southern shorelines while most of the northeastern and central shorelines remain undeveloped. An agreement between Walter Steere and the Sand Dam Association was signed in the early 1950s and transferred the spillway rights to the Association. At its beginning, the Association issued membership certificate bonds to new members. Today, dues are $50 per year and support annual costs like insurance, control of invasive aquatic species, water level adjustments, and state fees. We have created this website as a resource for our members, community citizens, and others who are interested in lake life and sustainability. We proudly support the work of the Save The Lakes. We advocate with our local Glocester Land Trust to ensure the protection of land that borders our lake. We hope you will find the information contained within this website to be valuable to you.